COLTER “Circular Structure” – google. 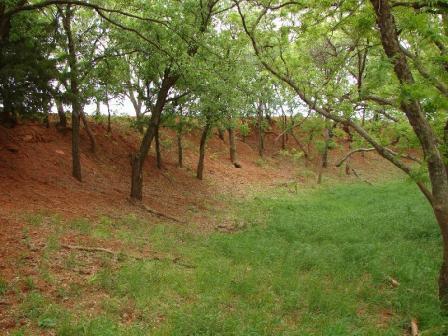 This land formation located in western Oklahoma is approximately 57 meters in diameter. Its circular shape cuts into a slope that consists of varying layers of sandstone/mudstone/shale. COLTER “Circular Structure” – inside of “rim”. COLTER “Circular Structure” – top of “rim”. The rim is exposed for about 260 degrees of a circle with the rest possibly buried at the down hill side. The rim is illustrated from inside the structure (image left) and on top of the rim looking out (image right). Descriptions below attempt to describe attributes of specific features of the formation with a pros/cons list to generate dialogue whether the attribute supports the impact theory. 1. Circular shape. 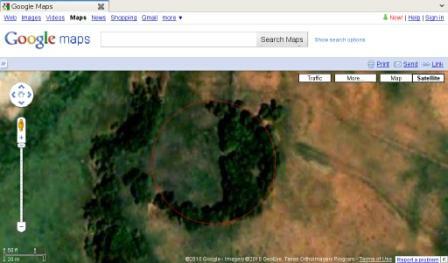 As seen from ground level and satellite photos the shape is circular or oval. The angle of satellite photos may distort the shape if not from directly overhead. The rim is only exposed for approximately 260 degrees of a circle. 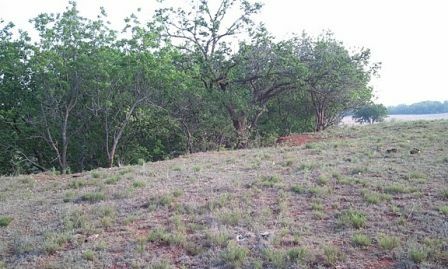 PRO – It would be unusual, especially for this region, for erosion to create a rim greater than 180 degrees. CON – It could be the remnant of an oxbow feature of a wandering stream or creek. 2. Strewn field The strewn field exists mainly to the east of the crater. PRO – Calcite pebbles exist on the surface from the rim to several radii from the crater. 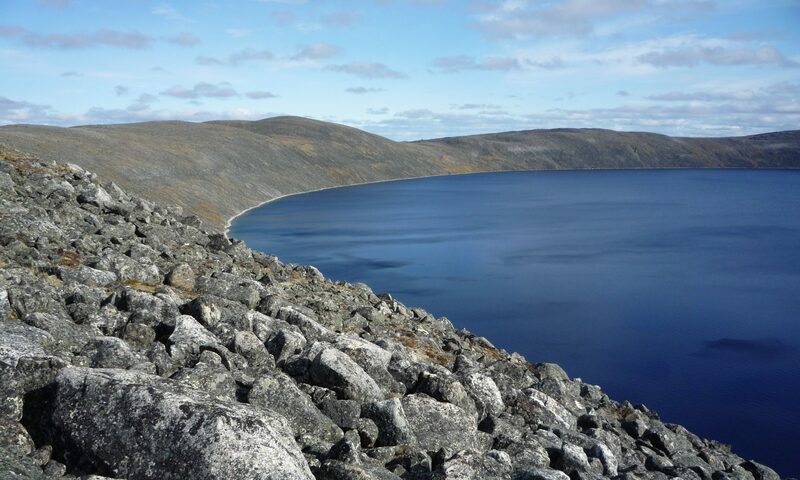 The population density of these pebbles decreases quickly with distance from the rim. Calcite pebbles on top surface are different than calcite in veins of the region possibly due to weathering. This strewn field is probably the most fragile of the features because it could be easily disturbed or damaged. 3. Distinct steep sloping face. Face has vertical veins of calcite of various thicknesses. PRO – the angle of the rock face all around the inside of the feature is different from typical erosion of the region. The angle is about 45deg and is consistent all around. Angle isn’t supported by root systems. Regional rock creek banks are either vertical or have deep cuts radiating outward. 4. Elevated rim Rim elevation is slight but has protected interior face from erosion by shedding water outward. PRO – Elevated rim could be excavated material CON – Elevated rim could be typical undisturbed shale layers 5. Silt interior Shallow bore holes have yielded only silted in top soil with no shale. No deep holes have been done. PRO – Oxbow would have likely left shale center? CON – Any depression would have filled in with flooding. 6. Shock evidence. CON – No evidence of shock has yet been found. 8. Meteoric material. PRO – Some material has been found CON – Only tiny stones and dust have been found so far with a magnet. This area is private property and it is requested that you contact Mr. Doug Massey at (coltercrater at gmail dot com) for information.